Smoky Quartz...the "rock crystal", is a brown transparent quartz that is sometimes used for unusual faceted cuts in jewelery. Smoky Quartz Soap Rocks are made from unique blends of whole herb extracts, vitamins, & minerals. They are very mild & extra long-lasting. Soap Rocks are gentle for sensitive skin, contain no animal products, & are tested on humans. "In form & function Soap Rocks are dedicated to our skin, our spirit, & our earth." 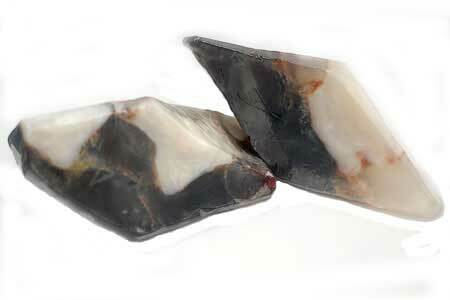 Size: Smoky Quartz Soap Rocks have variations in size, shape & color. Each Soap Rock weighs approximately 6 oz.